Thank goodness for modern technology! OK, so texts have been around for 25 years, but receiving thanks from grateful brides and grooms still feels a lot more modern than waiting around for a carrier pigeon to deliver a message, or whatever they used to do in olden days. 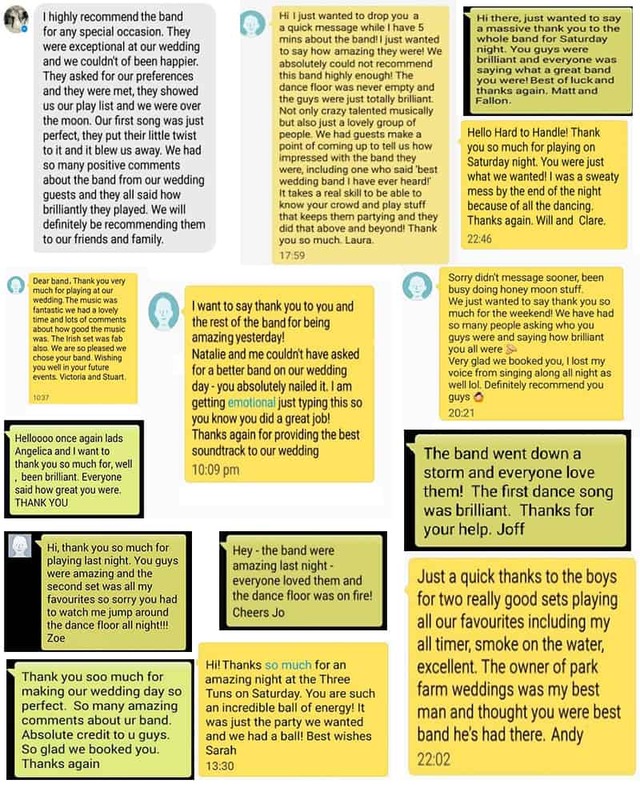 So in honour of this, here is a small sample of texts we have received from recent clients. Read. Enjoy. That was nice, wasn’t it? For more reviews, head over to our Testimonials page. 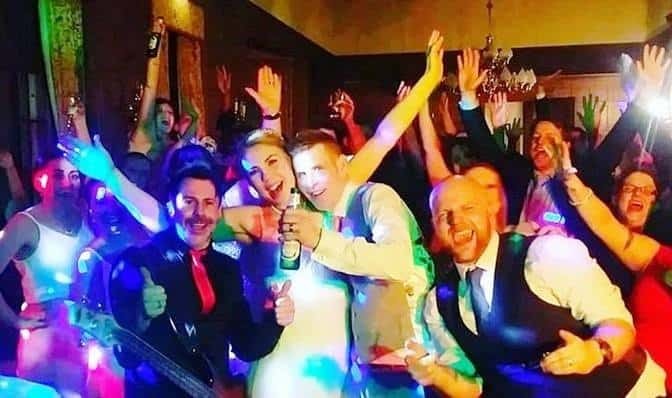 For a more intimate relationship with Hard to Handle band, call us direct on 0796 433 5657.